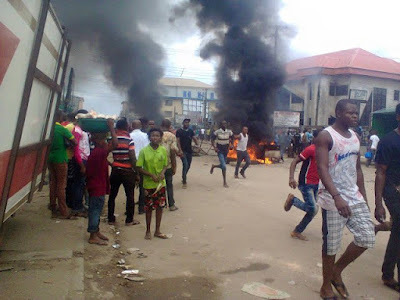 Some offended youths on Tuesday burned three people suspected of being armed robbers in the village of Uruk Usung in the Akwa Ibom State's Obot Akara Local Government Area. It was found that the suspects terrorized the inhabitants of the area. According to eyewitnesses, the suspects, who were between 22 and 30 years old, were picked up by young people after robberies. The source told our reporter that the mobs had beaten the suspects to a pulp; set her on fire quickly before help could come. In the meantime, spokeswoman for the Akwa Ibom police, DSP MacDon Odiko, said she still needed to be notified of the incident by the division's chief of police.